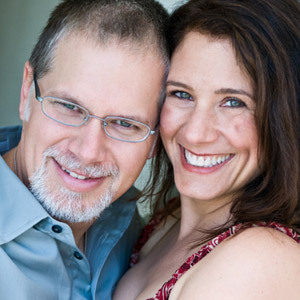 Orna and Matthew Walters are Master Relationship Coaches and the founders of the Love On Purpose Revolution a global online event dedicated to busting the myth that love is supposed to happen by accident. Each struggled with love relationships for the majority of their adult lives; individually mastered selfâ€‹love, allowing them to come together to form a True Soul Partnership. Orna and Matthew work with clients all over the globe utilizing the tools of transformation. They are dedicated to spreading the message that having love is an inside job and that it’s never too late to find the love of your life. Orna and Matthew have inspired and guided thousands of Singles through the journey of selfâ€‹love to bringing in their Beloved. They also work with Couples supporting them in creating connection rather than separation, and harmony between their personal and professional lives. Their break through coaching program, The Science of Creating Love, is the only course in the world that allows you to identify and change your own personal Love Imprint, removing blocks to love so you can love yourself and others more deeply. Orna and Matthew have been featured on countless television, radio, and print outlets including: NBC, Fox News, MSN, USA Networks, KPFK Radio, and with Les Brown on CBS Radio. They are featured as guest experts on Bravo’s The Millionaire Matchmaker. Orna and Matthew are often referred to as “The Power Couple” â€‹ because they help their clients step back into their power and into love. Their business is Creating Love On Purpose, which teaches you how to break old patterns that are keeping you from receiving the one thing you desire most of all — LOVE!